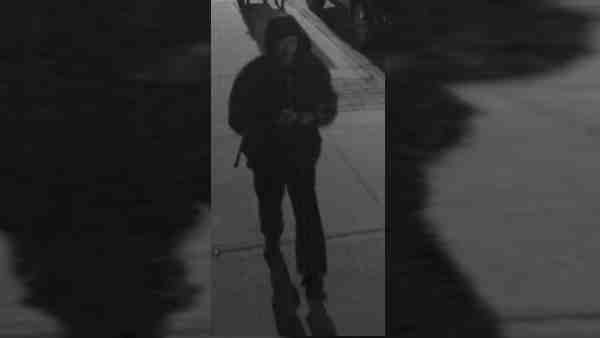 MARINE PARK, Brooklyn -- New York City police are looking for the suspect who has been drawing swastikas in a Brooklyn neighborhood. Police say all five incidents occurred on Monday on or around Avenue S in the Marine Park neighborhood. -- A garbage can cover located in the vicinity of Avenue S and Ryder Street. -- A residential gate located in the vicinity of Avenue S and Ryder Street. -- A traffic control box located at Avenue S and East 38 Street. -- A garbage can cover located in the vicinity of Avenue S and East 37 Street. -- The front door to a residential building located in the vicinity of East 35 Street and Avenue S.
The male is described as white, and 5 feet 6 inches to 5 feet 9 inches; he was last seen wearing dark colored clothing and a dark colored back pack.